Here's a note from contributing editor Marc Alain Bohn about our post yesterday, discussing the DOJ's recommendation that three CCI executives be sentenced to probation and not jail time. In Marc Alain Bohn's FCPA Docket yesterday, there was important news about three individuals facing sentencing in the Control Components Inc. case. Since we started tracking FCPA fugitives (like a blog -- not like a U.S. Marshal), a lot has happened. David Edmonds is the seventh former CCI executive to plead guilty to FCPA charges. Two former executives of Control Components Inc. became the second husband and wife convicted of FCPA offenses when they pleaded guilty Monday in federal court in Santa Ana, California. Two huge cases settled during the quarter. Both JGC and Johnson & Johnson made our top-ten list. Three other corporate settlements happened during quarter. CCI did it. So did Nexus Technologies, Inc, Nam Nguyen, Kim Nguyen, and An Nguyen. And now Flavio Ricotti has done it too. They've all pleaded guilty in FCPA cases to violating or conspiring to violate the Travel Act. Former fugitive Flavio Ricotti pleaded guilty yesterday in federal court in Santa Ana, California to a single count of conspiracy to violate the Foreign Corrupt Practices Act and the Travel Act. An Italian citizen extradited in July last year to face FCPA charges was released from jail two weeks after his arraignment in California. But he can't leave home. An update of our annual list of known FCPA fugitives. On August 17, 2007, the government alleges, Hong "Rose" Carson learned that her employer, California-based Control Components Inc., had hired lawyers to conduct an internal investigation into corrupt payments overseas. Just prior to her interview, prosecutors say, she tore up documents relevant to the internal investigation and flushed them down a toilet in CCI's ladies room. She goes on trial in November. With her will be her husband, Stuart Carson, and Paul Cosgrove, David Edmonds, Flavio Ricotti, and Han Yong Kim. They were all indicted in April 2009, charged with 15 counts of making corrupt payments to foreign officials and private parties to obtain or retain work for CCI. The charges include conspiracy, and violating the FCPA and the Travel Act. But Rose Carson faces an additional count, one that carries a maximum penalty of 20 years in prison. The DOJ charged her "with obstructing an investigation within the jurisdiction of a federal agency when she destroyed documents relevant to CCI’s internal investigation of the corrupt payments by flushing them down the toilet of CCI’s ladies’ restroom." Obstructing a federal investigation? That's right. Even though she allegedly flushed the documents before an interview that was part of CCI's internal investigation, she's charged with a federal crime. Whoever knowingly alters, destroys, mutilates, conceals, covers up, falsifies, or makes a false entry in any record, document, or tangible object with the intent to impede, obstruct, or influence the investigation or proper administration of any matter within the jurisdiction of any department or agency of the United States . . . or in relation to or contemplation of any such matter or case, shall be fined under this title, imprisoned not more than 20 years, or both. CCI had made a a voluntary disclosure to the government on August 15, 2007, two days before Carson allegedly flushed the documents down the toilet in the ladies room. Did the timing of CCI's disclosure matter? Maybe not. In United States v. Ray, No. 2:08-cr–01443 (C.D. Cal. Dec. 15, 2008), the government charged Gary Ray, the former head of human resources at KB Homes, with obstruction under 18 U.S.C.§ 1519. The government said he tried to mislead his company's general counsel's internal investigation into stock-option grant practices before any federal investigation was pending or planned. The federal crime was lying to company counsel and it didn't matter what the government then knew or intended to do. The lesson is clear. Company counsel investigating FCPA-related offenses are "deputized" by federal law. Lying to them, or destroying evidence to keep it from them, can be a federal crime punishable by 20 years in prison. How many employees (or even directors and officers) know that? In the biggest multi-party indictment of individuals yet under the Foreign Corrupt Practices Act, six more former executives of Control Components Inc., an Orange County, Calif.-based valve company, were charged yesterday with a decade-long conspiracy to win contracts by bribing officials at foreign state-owned companies. Han Yong Kim, 47, of Korea, the former president of the company's Korean office. He's charged with one count of conspiracy to violate the FCPA and the Travel Act, and two counts of violating the FCPA. Earlier this year, two other former executives from Control Components admitted paying bribes and have been cooperating with authorities. Richard Morlok, 55, the former finance director, and Mario Covino, 44, the company's former director of worldwide factory sales, pleaded guilty to one count of conspiracy to violate the FCPA (see our posts here and here). Sentencing for both is now scheduled for July 20, 2009. The alleged conspiracy involving the six newly indicted executives stretched from at least 1998 to 2007. The indictment charges that from 2003 to 2007, they caused Control Components to make at least 236 corrupt payments in more than 30 countries. The Justice Department says the company earned net profits of $46.5 million from sales gained by the alleged corrupt payments. For all of the defendants, the FCPA and Travel Act counts each carry a maximum penalty of five years in prison and a fine of the greater of $250,000 or twice the value gained or lost. The destruction of records count against Hong (Rose) Carson carries a maximum penalty of 20 years in prison and a fine of $250,000. The alleged corrupt payments were made to officials at state-owned entities including Jiangsu Nuclear Power Corp. (China), Guohua Electric Power (China), China Petroleum Materials and Equipment Corp., PetroChina, Dongfang Electric Corporation (China), China National Offshore Oil Corporation, Korea Hydro and Nuclear Power, Petronas (Malaysia), and National Petroleum Construction Company (United Arab Emirates). 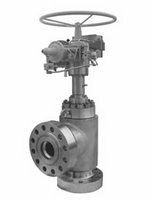 Control Components designs and makes valves for the oil, gas, nuclear, coal and power plant industries. It is owned by British-based IMI plc, which trades on the London Stock Exchange under the symbol IMI.L. An indictment is merely an accusation and the defendants are presumed innocent until and unless proven guilty beyond a reasonable doubt. View the DOJ's April 8, 2009 release here.